Interested in East Asian Studies courses? Come explore course offerings for the 2018-2019 academic year and meet the CEAS faculty, post-docs, and visiting scholars teaching exciting new courses this year. Both undergraduate and graduate students are welcome to attend this event. Snacks will be provided. 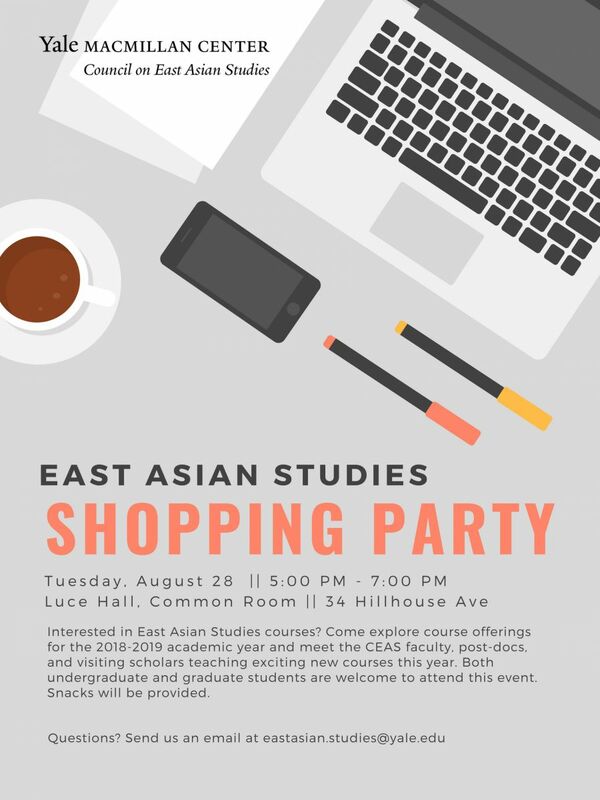 Please RSVP to eastasian.studies@yale.edu by Monday, August 27th, 2018.